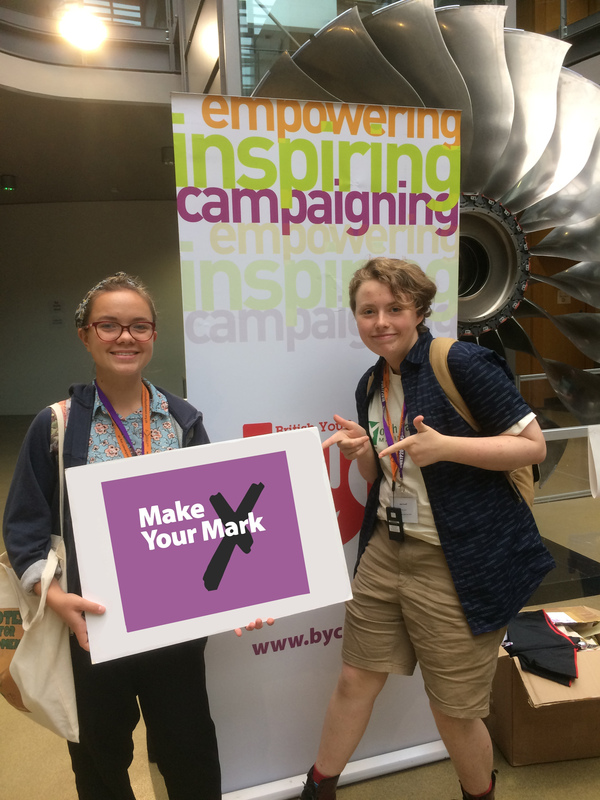 Two motions put forward by East Sussex Youth Cabinet members who represent the county on the UK Youth Parliament were selected from more than 50 issues to feature among the youth parliament’s top 10 priorities for the year ahead. Libby Russell, 16, from Hailsham, and Indya Wardle, 15, from Eastbourne, put forward the motions ‘End period poverty’ and ‘Let’s tackle homelessness’. They will now feature among 10 issues to be voted on by secondary school pupils across the UK as their top priorities for the year ahead under the ‘Make Your Mark’ scheme. The five motions securing the most votes across the country will be debated by the UK Youth Parliament when it meets in the House of Commons in November 2018. Cllr Sylvia Tidy, East Sussex County Council lead member for children and families, said: “It’s a source of great pride that our youth parliament members have succeeded in getting their issues raised at a national level. Libby, who heard her motion had been accepted on the same day she celebrated getting all grades 8 and 9 in her GCSEs, is calling for free menstrual products to be provided on the NHS to young people under the age of 18. She said: I first heard about period poverty on a podcast. It was never addressed in school and I’m lucky enough to have never experienced it myself. “After speaking to young people in my area I realised that period poverty was a pressing issue, particularly affecting young people from larger low-income families. Meanwhile, Indya argued for more funding for charities and other organisations that support young homeless people and for local authorities to do more to direct young people to services that may prevent them from becoming homeless in the first place. She said: “I am so incredibly happy that my motion has made it onto the ballot as it could then go on to be the campaign for the whole UK Youth Parliament and truly make a difference for homeless youth. 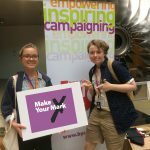 The UK Youth Parliament members for East Sussex are elected by their peers on the East Sussex Youth Cabinet, which represents young people in the county and campaigns on issues important to them. Youth homelessness is becoming a bigger problem in today’s society. We recognise that homelessness includes those who live on the street and those who have no fixed place to call home, and so live in hostels or temporary accommodation. We believe that in order to tackle youth homelessness the Government and councils need to address the issue. We call on the Government to provide enough funding for charities and organisations, focused on supporting those who are homeless. We also call on local councils to better provide signposting to services that provide enough support to young people who are a trisk of becoming homeless. Every person should have a place to live and the opportunity to live comfortably. Let’s make it happen and put a stop to homelessness. We believe that menstrual products are an essential item, and we believe that they should be accessible to all who need them. On average, women spend thousands of pounds on sanitary products during their lifetime. The high cost of these products, increased by the fact that they are subject to VAT as they are considered a luxury item, means that many people cannot afford to buy the menstrual products they need. For young people, this can affect their daily lives, their school attendance and their ability to engage in activities. We call on the Government and the NHS to provide free menstrual products to young people under the age of 18; and to make them more accessible for all who need them. This will allow everyone to fulfil their potential without having to worry about the costs of these essential products, and make our society a fairer happier and healthier place.